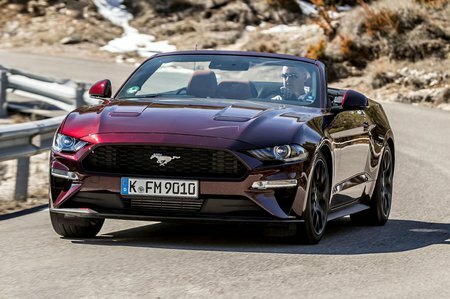 Ford Mustang MUSTANG Review and Deals 2019 | What Car? You get plenty of standard kit on the standard Mustang. That includes a 12.0in digital instrument cluster, an 8.0in infotainment system with Apple CarPlay and Android Auto, keyless entry and start, six-way power adjustable front seats with lumbar support, adaptive cruise control, automatic emergency braking, lane-keep assist, auto lights and wipers, 19in wheels and a limited-slip differential.